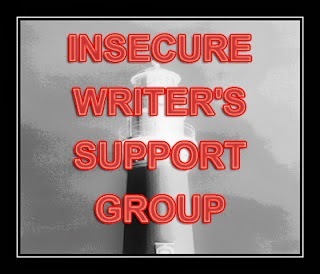 It's the first Wednesday of March, which hails the regular arrival of the Insecure Writer's Support Group, hosted by Ninja Captain Alex J. Cavanaugh. The group offers a place for writers of all kinds to support each other in those ever-present moments of insecurity. The subject of this month's entry is oddly appropriate, I think. Some of you might be wondering why there wasn't a Speculative Fiction Tropes entry this past Monday. To accommodate more writing time, I've decided to stick to a strict once-per-week blog schedule from here on out, including the first week of the month. Since I really enjoy taking part in IWSG every first Wednesday, that means I'll be moving the tropes series entries to the second Monday of each month. This month's entry will come next week. You can see why this is relevant, no? Unfortunately, I don't share Mr. Adams's love for that sound. I happen to find that whooshing noise extremely discouraging. That being said, the drive never to hear that sound again motivates me to work twice as hard the next time around. Deadlines have long been the bane of the writerly ilk, but they're an absolutely necessary evil in the larger publishing world. In fact, they're not evil at all. They're downright good for us. Not only because it's hard to become a successful writer if you never actually, you know, finish anything, but because that loud red-alert klaxon we hear in our heads when zero hour approaches can often serve as the kick in the pants we need. I can only speak for myself, of course, but my gears naturally start turning faster when I know I have a deadline coming up. Sometimes I surprise myself at just how much more productive I can be when there's a big, bold date hanging over my head. Every writer is different, but I'd be willing to bet that many of you might find similar results. So why not harness the positive side of this white-knuckled phenomena? You don't have to be a bestselling author with a six-figure contract to feel the drive of a strict deadline. You don't have to be published at all. All you need is a little self-imposed discipline. Don't wait for an agent or a publisher to set your deadlines for you. Set them yourself! Open that calendar and set a realistic goal for your work. It doesn't have to be something broad and long-term—in fact, it probably shouldn't be. Focus on the short-term and the immediately measurable. "I will write 5000 words by Saturday" is a much more effective deadline than "I will finish my novel by December." This lets you feel that rush on a regular basis, and allows you to tweak and adjust as you learn how best to push yourself against your goals. The first time one of your deadlines passes and you have nothing to show for it, you'll be ready to chastise yourself in the mirror like a naughty toddler caught with sprinkles on his face. But don't beat yourself up too hard. Instead, knuckle up and prepare for war. Meet the next one with sword in hand, and vow never to hear that whooshing sound again. Yup. Sometimes we have to prioritize and drive ourselves a bit more to reach our goals. The past couple of months have been veeery chaotic for me, and my revision has slacked. I think---no, I know---if I don't set a deadline and hold myself accountable, it's gonna eat most of my spring and leave me depleted and disappointed. Better work harder NOW and get done FASTER, not losing momentum, than trudging and dragging and crawling along and finishing, maybe, sometime later, dunno. Maybe. At least you've got the right frame of mind, Vero. As you said, it's better to get as much done in the here and now than to wake up one morning and curse your past self for getting you into a delayed mess. It's a great practice to develop! Thanks for reading, Misha. The real deadlines are very motivating! And I hate to hear them whooshing by. It's not a pretty sound! Thanks for stopping by, Alex. I'm such a last minute Louie, whenever I have an article or an awards submission due it's completed at the last possible minute. In fact, I have one due tomorrow which means I'll be here all night working on it. D'oh!!! Yikes! Don't let that deadline whoosh by, Randi! Ha! I was just thinking about setting a goal for May when I read "I will write 5000 words by Saturday" is a much more effective deadline than "I will finish my novel by December." Lol! So true. I'm going to dust off my math skills and see how many words I need to write a week to be finished by mid-May. Just the thought of it makes me want to stop being lazy. I love beating my self-imposed deadlines!